As a Board Certified Specialist in Estate Planning and Probate Law, Beth Tillman focuses her practice on estate and gift tax planning and estate administration. She has particular expertise in blended family estate planning, pet trusts, probate matters, and trust administration. Beth’s clients cite her outstanding knowledge of the law yet clear and compassionate approach as particular strengths honed over more than 20 years of professional and legal experience. As a founding partner of the firm Beth envisions its mission as serving clients attentively and thoroughly. 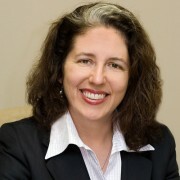 Beth is an honors graduate of the University of North Carolina School of Law, where she served as a Note Editor of the North Carolina Law Review. She was admitted to the North Carolina State Bar in 1993. Following law school, she clerked for the Honorable Willis P. Whichard on the North Carolina Supreme Court. She also holds a master’s degree in English from the University of North Carolina. Beth Tillman was born in Natchez, Mississippi, in 1963. She has lived in Chapel Hill since 1986. Her daughter attends high school in Chapel Hill. Her son is a junior at New England Conservatory where he is majoring in jazz percussion performance. “Exercising the Right to Die: North Carolina’s Amended Natural Death Act and the 1991 Health Care Power of Attorney Act,” North Carolina Law Review, Vol. 70. As an estate planner I think about death probably more than most people. I have considered death as a period to the final sentence in the final paragraph that is life. Of late it seems to me to be like a colon: that which follows after it is as much a part of life as the words before the colon. People get inspired to sign a will when a major life event occurs. Sometimes it’s because they became a parent or they bought a house or a close friend or family member died and they handled a messy estate. My fourteen-year old son recently caused me to choke on my coffee when he mentioned that he would be able to vote in the next presidential election. It is a form of denial that maybe all parents have about the passage of time and their children. Most of us live two lives: our daily lives and our cyber lives. We awake, check our phone, make our coffee, turn on the computer, login to email and Facebook… This could be an outline of our last day on earth. What happens the next day when we aren’t there to login? I have not written about estate taxes in this column over the last year because I, like all estate planners, was nonplussed as to what to say. Through almost all of 2010 we were in disbelief that no estates were taxable under federal law. I am in my forties and I have been a drafter of wills for fifteen years. I have formed a few ideas and conclusions over the years of doing this type of work and thought it might be interesting to share a few with you. I could probably travel around the world on the gas I’ve used up turning around to return home to make sure I turned off the iron or the oven or lowered the garage door. But such return trips are necessary lest the house burn down or be burglarized. Finalizing your estate plan requires the same effort.